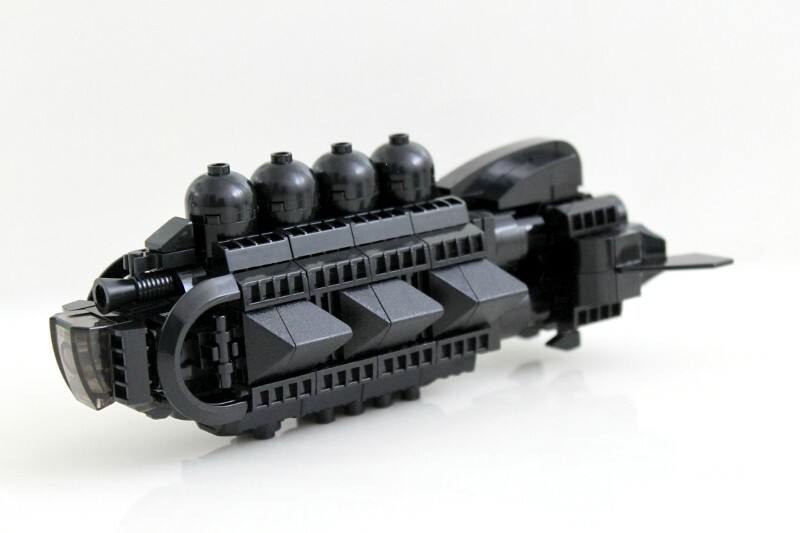 PP2060: Solely use for transport, the Aglaeca Dark Matter Transport Submarine is an unarmed vessel. 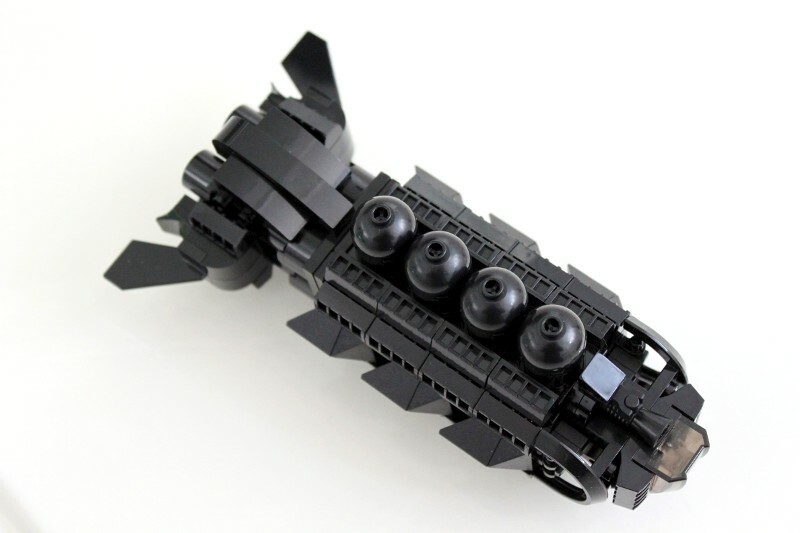 It is always escorted by the Aglaeca Mini Attack Submarines during raids and acquisition of Dark Matter from the Allies. Can't see the pictures? Check them out in Brickshelf. For an overview of Aglaeca, check out Project Pelagic 2060. Congrats on MOTD! And this is a beauty! Dude, when I first joined MOC pages, I thought you were painting these! Nice photoshop effects! An amazing ship, well worthy of the title MOTD! Fantastic work! Fantastic! You have some of the best miniscale ships out there. 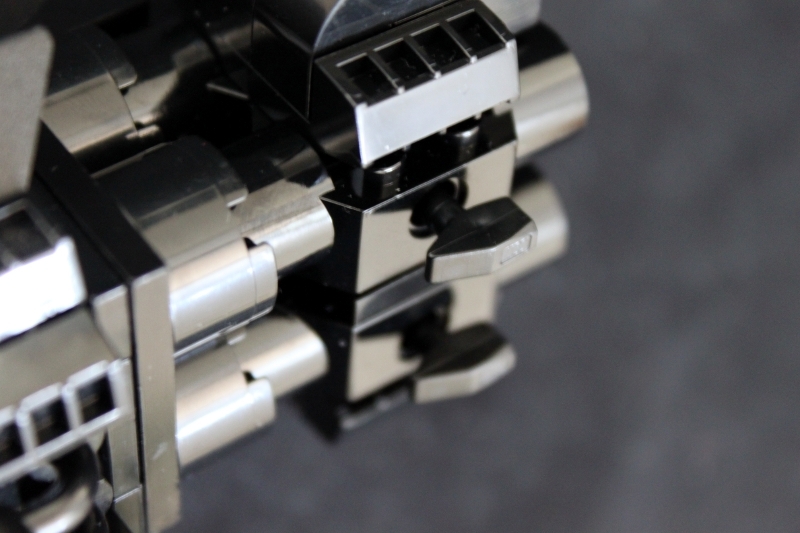 Its not often a miniscale gets so popular, but your compact, sleek style is so unique. Worthy MOTD! Congratultions on an amazing build! A very well deserved MOTD! It looks fishy^^ Cool design and interesting lighting effect. That is one cool submarine. Looks like a good amount in detail for such a small sub. Wow this is a very nice and unique design. Quite an eye catcher. Great job! ouf!,very,very cool design!,very stylish,nice technique and details,good work! I love the angles and curves on this one! Quoting Fred Ottens ... wander where you get all those engine-parts! 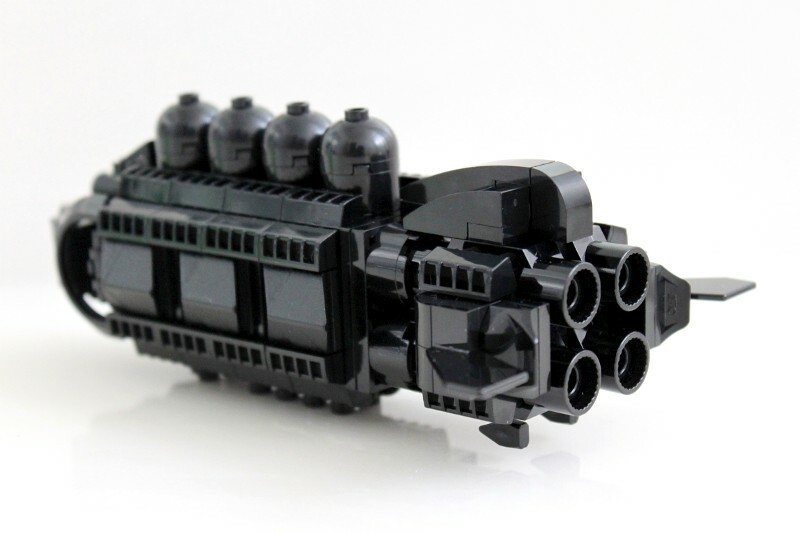 Wow, very nice model, wander where you get all those engine-parts! Very Creative use of some of these parts. Excuse me po. -I'm promoting my latest moc which I am going to post tomorrow morning(for those in America) This afternoon(for those in Europe) and tonight for those in Asia. It is my biggest Moc yet, a 48X48 dio called At The Carnival! One thing to look out for is the 'death' of Flare. Also special appearances of some other Mocers. So stay tuned! There is a WIP photo of it on my homepage. Check it out! 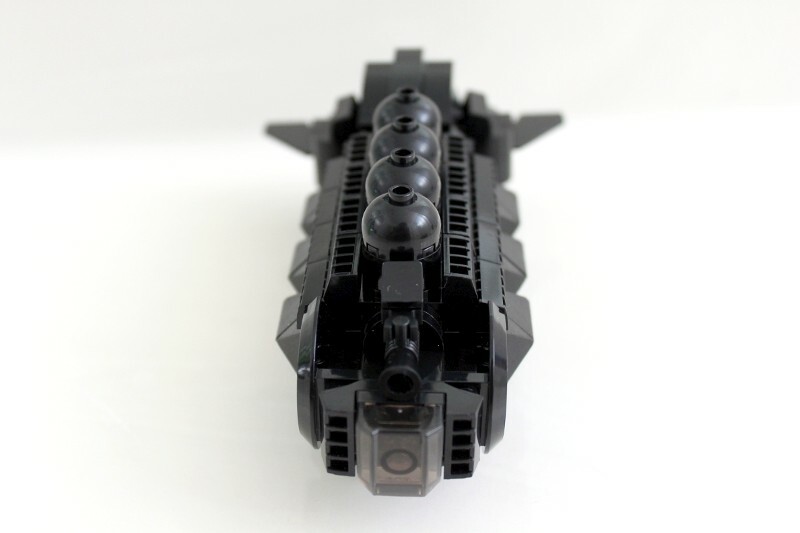 You are featured in this MOC. Salamat! Wow, man! You have a SERIOUS sense of smooth design (insert innuendo-ish joke here). 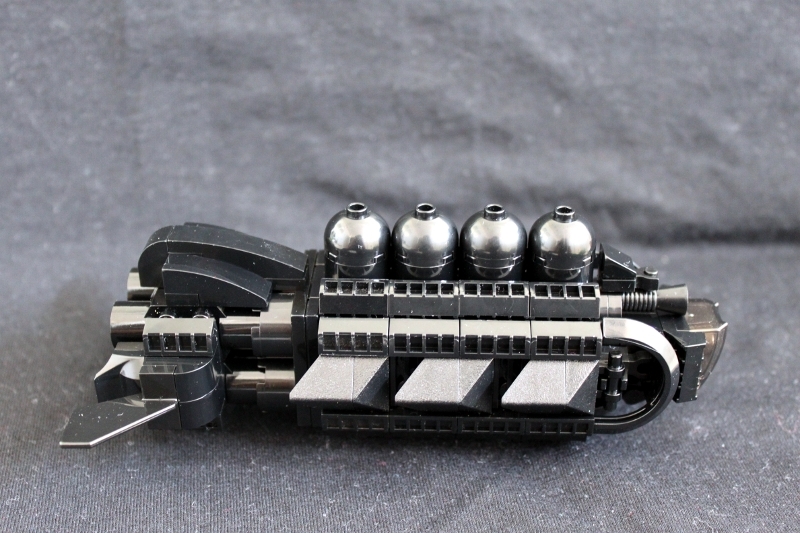 Another fantastic microscale design from you! Too cool! 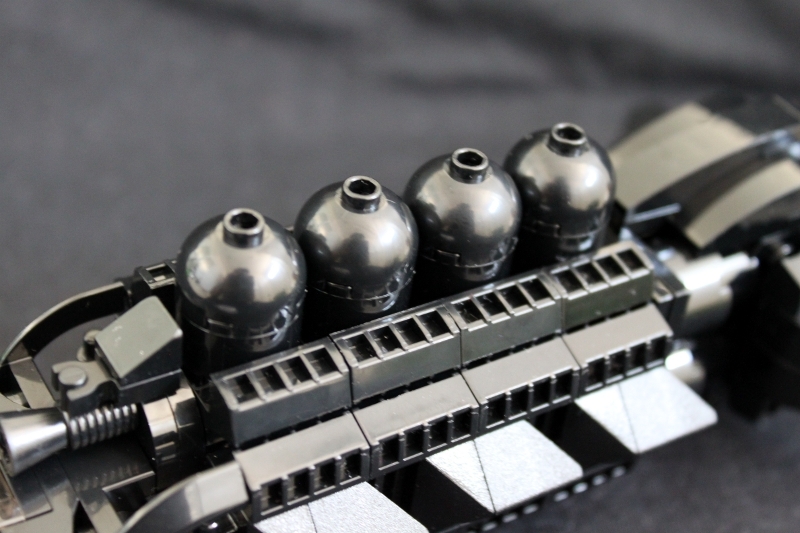 Black pieces have some of the most interesting bits ever, no? You've really started to find your niche here. The form and lines on this thing are great! Great work and parts usage! ~ Chris. This is a pretty sweet little theme your developing buddy! 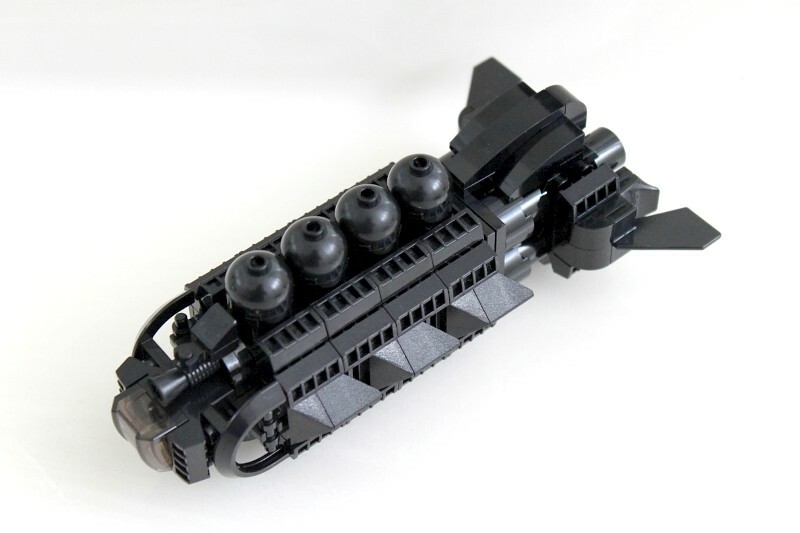 Not sure how you could move with Dark Matter, but great use of pieces! The fins on the right and left are a nice touch; though, I would have made it one single fin on each side instead. 4/5! Nice sub though it looks more like a spaceship, casing points- the engines, the little wings and the not-too-streamlined structure. Evrything else looks just like a sub. Brilliant designing, great job on this. Awesome! 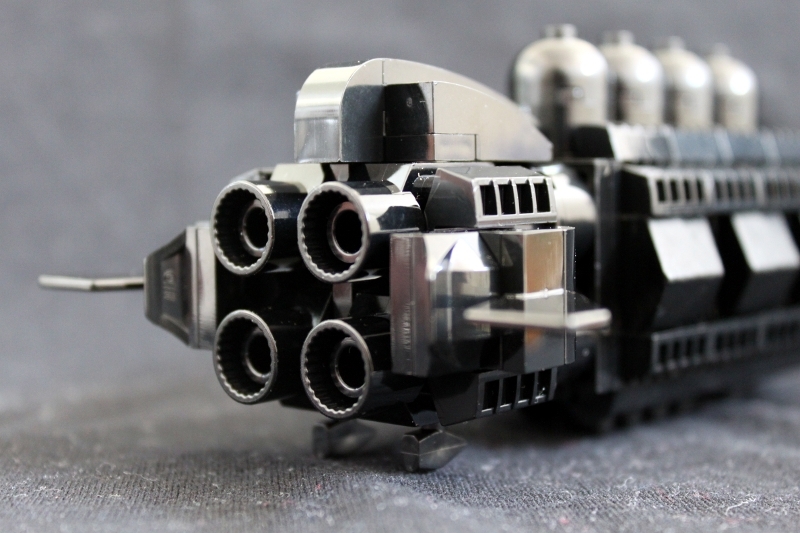 If this is not a good MOC, nothing is! amazing photography tricks to get the chrome appearance. 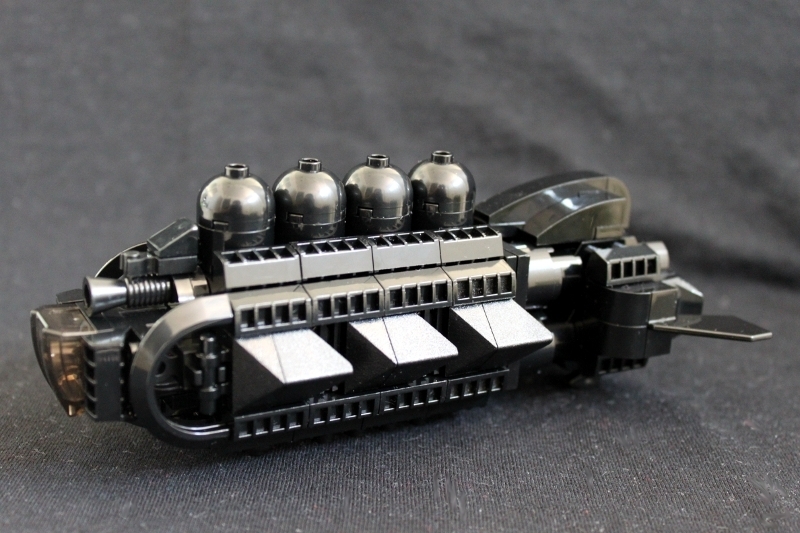 I did a black MOC last year, and it is really hard to get good pics. You're a master in many respects! I love the amount of detail and originality of this, keep it up. It's just regular black bricks. 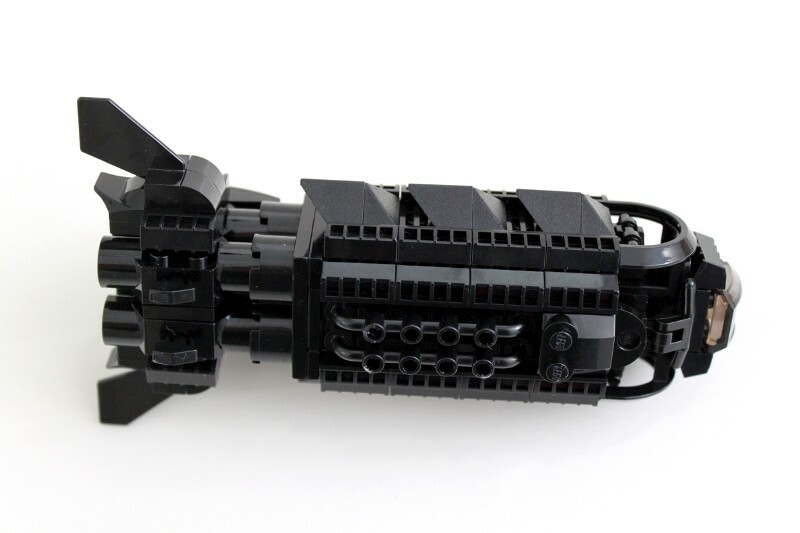 I believe it's Dr. Lee Jones who showed us how to use a black background for a black MOC (check out his BFC-DSP MOC). That technique makes the color look "metallic". Thanks everybody! Your comments are greatly appreciated! the chrome, oh the chrome! This is awesome, and it would also make a nice WH40K starship. 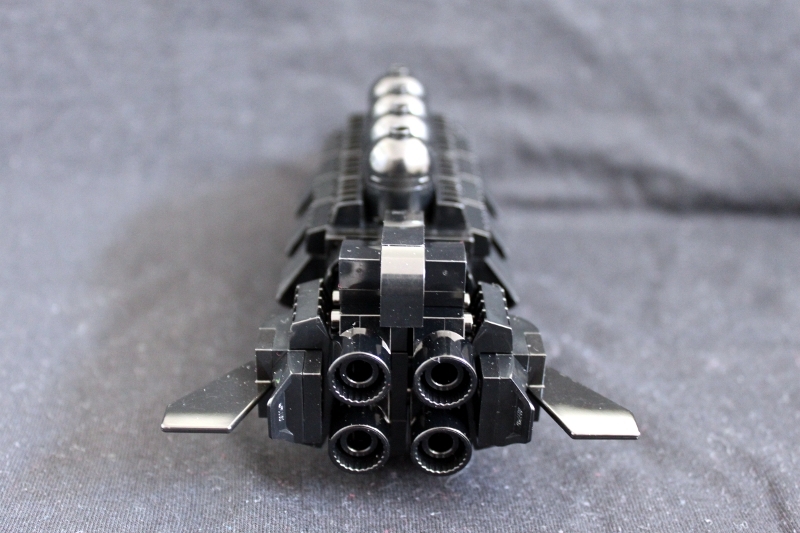 This is a WOW WOW WOW moc. Lovin' it! Excellent shaping on this bad boy. I particularly like the engine area. 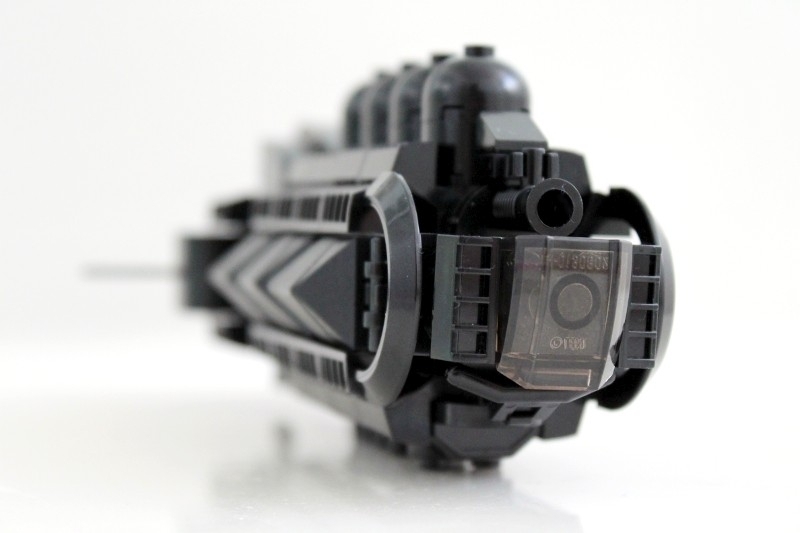 Nice photography of black lego as well. It's not easy. Top notch as usual. Dang you're good! Some cool shapes on there. Nice! This really looks sharp. I really like the use of parts gives it a stream line feel. Very cool !!! simple and efficient !!! beautiful !! A very nice boat... ship... submarine! watch out for icebergs! The colour diversity is huge! Well done! Sweet ship amigo! Lego store grand opening in Phoenix 10/22/10. Fly, er, sail this bad boy there and get shopping! Very nice, you are a master greeblizer. This is amazing! I love all the little details put into it! Don't know if anybody noticed, but there is a reflection of a huge giant with a camera in those four domes...better dive for your life! I see you managed to wrestle another handful of bricks away from your boys! Great monochrome model again, love the simplicity of the engines using those ratchety socket pieces (that's the correct term for them by the way) and the texture added down sides and back with engine pieces. Good work. A smoking design, and some top notch pics with that black background. 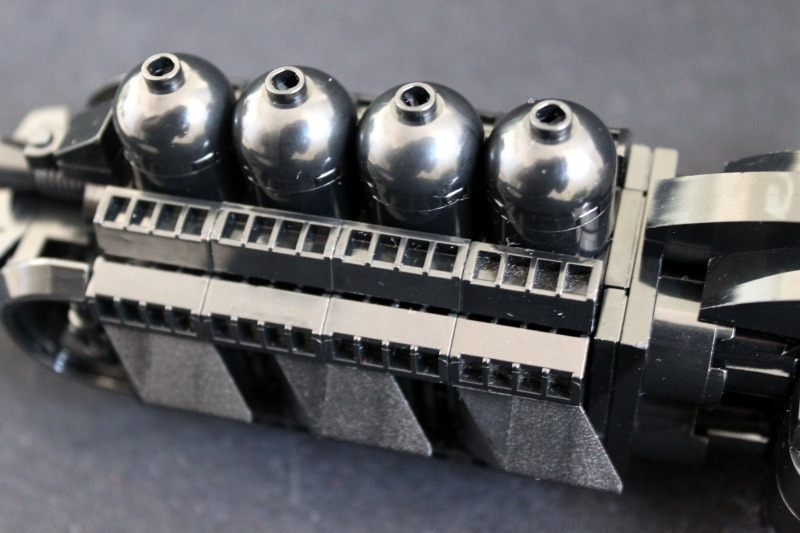 Love how when you catch a good photo of black Lego (which you have done), that the black looks metallic. Lee. Its constantly amazes me what you can produce on such a small scale and even with just a single colour! 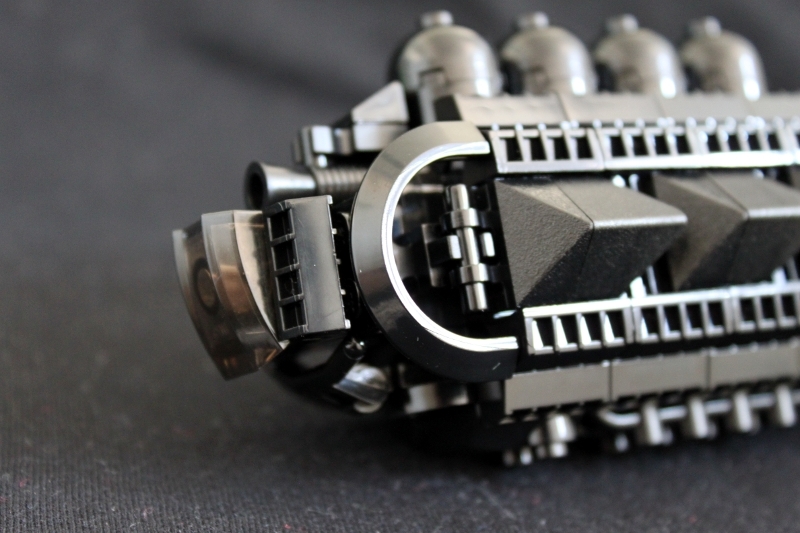 Great use of parts, very funky design. Awesome stuff Shifu! Very nice, great job on all the ridges/details, really gives the black some good contrast. Nice, very nice! 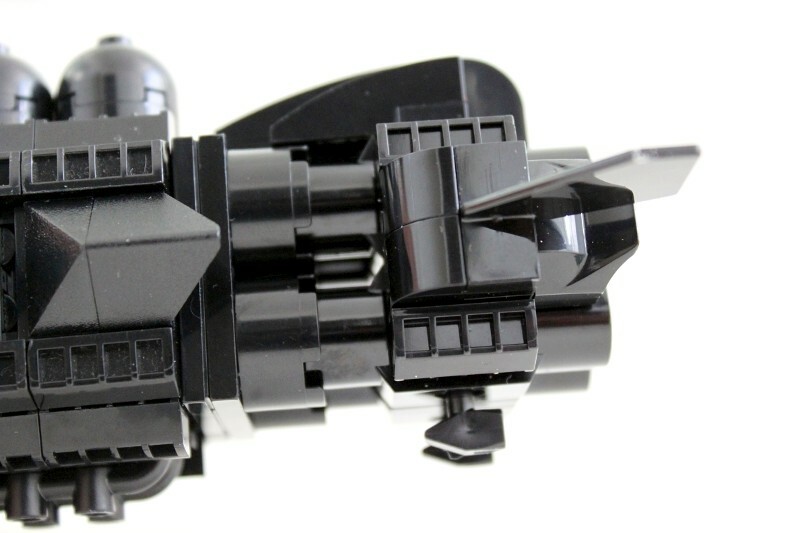 I really like those side pieces, I had the good fortune of running across those at the Lego Outlet store in Denver, use 'em whenever I can. Great job again, looks great! Yes, what a tasty look in a nice tight package. Terrific part usage. Dark matter - it don't matter, none o' this matters. Keep the theme goin'! Aside from looking awesome, you use lighting to maximum effect!